Hello readers, today is April 5 and I want to explain how to put Skyscraper ads side by side on your page. In my experience size of the banner is effective in promoting ad and also included in the recommendations by google. Before that, be sure the size of column is at least 300px wide because the ad size has width 120px and 160px. 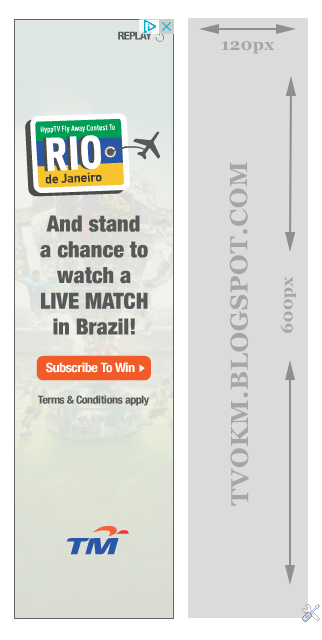 However, you can change the size of the banner but the column must be greater than 300px size. Take note, don't forget to remove the blue color with your ad script there. Remember, put the code on ad size that you want to spacing because it has two scripts.